Ninety-five percent of allopathic physicians who enter internal medicine training programs successfully achieve board certification through the American Board of Internal Medicine (ABIM). The remaining non-certified physicians who then go into practice are more likely to have disciplinary actions by state medical boards as compared to their certified counterparts, according to a new research report published in Academic Medicine. Researchers from the Federation of State Medical Boards and University of California at San Francisco, in collaboration with ABIM, looked at career paths and certification status of internal medicine residents. The research found that attrition has a minimal impact on physician supply, and those without certification appear to contribute disproportionately to poor physician performance resulting in disciplinary action. Researchers combined three datasets to study 66,881 residents in Accreditation Council for Graduate Medical Education-accredited (ACGME) internal medicine residency programs nationwide from 1995 to 2004. 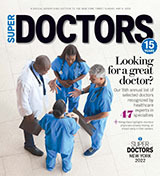 They examined differences in residency performance ratings, specialty certification status, year of initial training and state medical board disciplinary actions for ABIM Board Certified physicians; a group certified by the American Board of Medical Specialties (ABMS), but not ABIM; and a non-board certified group. The analysis showed that that 95 percent of residents who completed at least one year of training in an accredited internal medicine program between 1995 and 2004 became ABIM Board Certified — a very low attrition rate compared with residents in other fields. Another 1.6 percent received ABMS certification in another specialty. Though a vast majority of physicians in all three groups were never disciplined by a state licensing board, those who did not achieve certification had five times more frequent, and often more serious, disciplinary actions than the ABIM certified group. The ABIM Board Certified group also had higher average ratings from the internal medicine residency program directors than non-certified physicians. The authors noted that they did not have access to data about physicians currently practicing outside of the U.S. and had limited information about the non-certified physicians. They also pointed out that the findings might not generalize to current trainees.